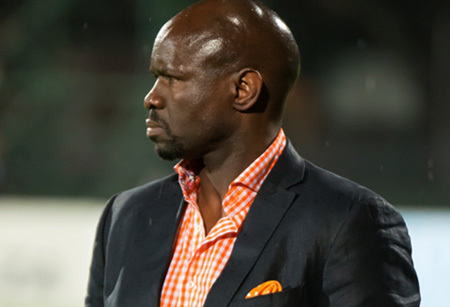 Maritzburg United coach Steve Komphela feels his side were a little unfortunate to end on the losing side after their Nedbank Cup clash with Black Aces. The Team of Choice exited the tournament in the round of 32, going down 2-1 to AmaZayoni, who had taken a two goal lead before United mounted a late comeback through Mohamed Anas, pushing hard for an equalizer which was not to materialise. In the end, Lehlohonolo Nonyane perhaps proved to the difference for Aces, scoring with a superb free kick and also clearing Thami Mkhize’s shot off the line in the first half. "That free-kick from Lehlohonolo Nonyane from just outside the penalty area in the 20th minute that opened the score for Aces was quite amazing for its precision and was ultimately the difference between the two teams," said Komphela. "Ironically we had two or three similar free-kick chances from outside the area, but we were not able to produce the magic. "In all other respects we matched Aces in an entertaining game that could quite easily have gone either way."